Havit are another brand which I haven’t had much experience with. Checking their website I can see they make really great looking hardware, including headphones. Such as the I18, which offer a premium look for a cheap price. 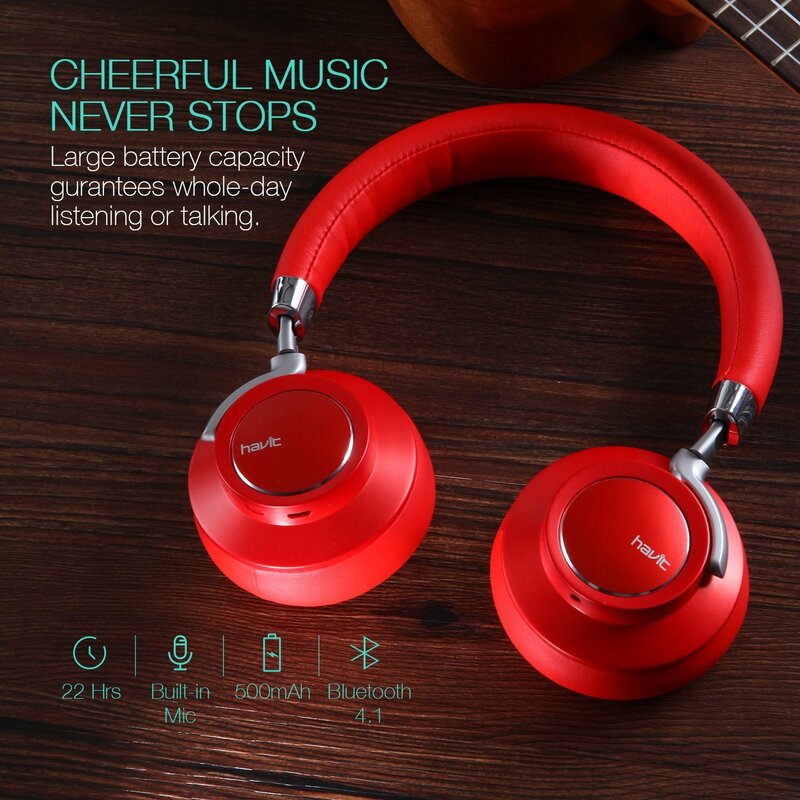 The I18 from Havit, have a premium look and feel to them. 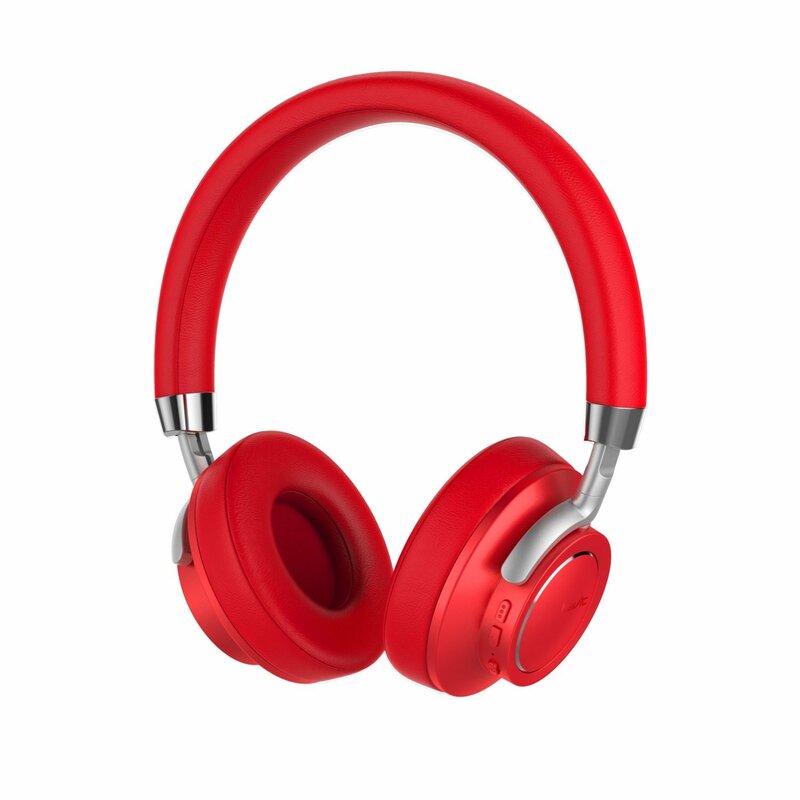 They are weighty and sport a metallic aluminum alloy for the cups, while having a PU leather headband. 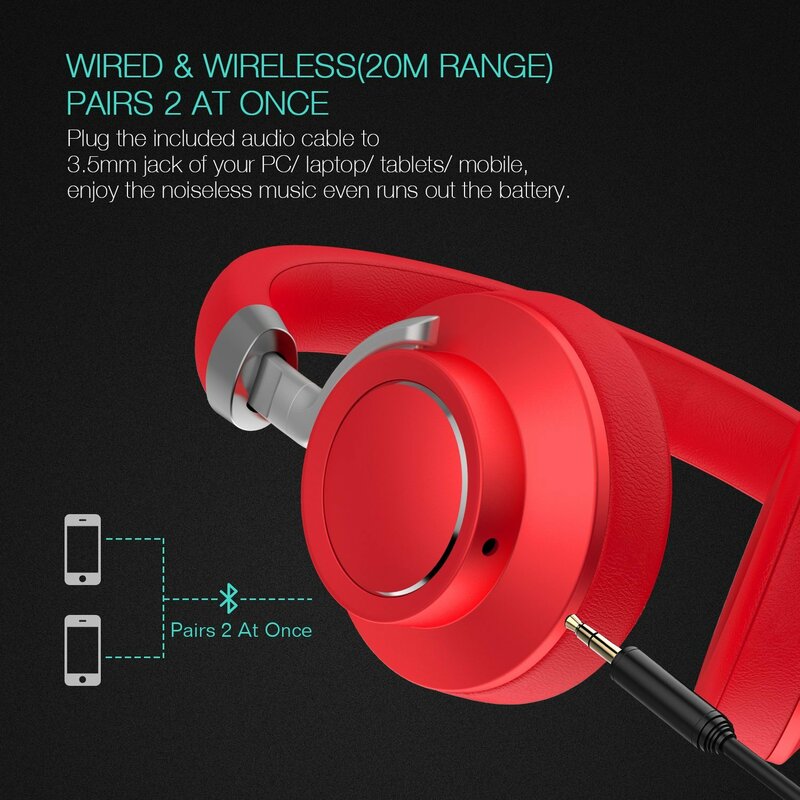 All in all, they tick all the boxes for an expensive looking set of headphones. Battery: 500 mAh Li-polymer (estimated 22 hours playback). These are really comfortable to wear when out. Due to the addition of a 3.5mm port, they can be plugged in directly. So I tend to plug them in when at the desk and then switch to Bluetooth when out and about. The sound is good. The low price is highlighted in the drivers and sound they produce. They aren’t heavy in bass, and can get tinny when turned up too loud. But sometimes a light sound experience is exactly what you need sometimes. After using them for a little while, I did tend to find myself using them in the mornings, when I didn’t want a huge burst of sound in my ears. I am a big fa of over-the-ear headphones, but I found these to be very small for me, which meant they were more on-the-ear. There is no noise-cancellation, and combined with the on-the-ear design I experienced, the volume had to be turned right up when outside. Linking these with my S8 was no problem and they connected first time, I did find that the connection did break at least once every time I took them out. But they then re-connected just as quickly. The I18 are a really affordable set of headphones, but please don’t think this means they cheaply made. For only £26, you get a set of headphones that look like they are worth £150.